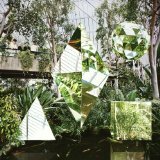 Clean Bandit - New Eyes (Delux..
Deluxe two disc (CD PAL/Region 0 DVD) edition includes five additional audio tracks plus a bonus DVD. 2014 debut album from the British Electronic group. NEW EYES draws it's inspiration from seminal UK Dance/Soul/Electronic acts that broke the mould including Massive Attack, NEW EYES showcase the band's trademark fusions of bass lines, beats, Electronica and strings with House, Garage, Dancehall, Drum 'n' Bass and Hip Hop, paving the way to become the soundtrack of summer 2014. The album is underpinned by Jack's unique and progressive dance production, which mixes together a cocktail of genres. Features a cast of incredible vocalists from House diva Jess Glynne on 'Rather Be' to New York female rap from Lizzo on 'New Eyes' to Jamaican dancehall rhythms from Stylo G on 'Come Over' to soul belter Sharna Bass on 'Extraordinary' to garage legend Elisabeth Troy on 'Hearts on Fire' and neo soul, rap and folk courtesy of the likes of: Rae Morris, Jaevon, Love Segga, Nikki Cislyn and Eliza Shadadd. This is clearly a debut album, introducing an original, quirky, fun sound overcoming some mixed results... and yet the album has been on constant repeat in my playlist since it was released, and I appreciate it over many other current electronic albums for its creativity and lightheartedness.Consider the first track, Mozart's House, which was their first single (and feels like a first attempt). In this track the band seems to have forced the classical-electronic fu.. The CD sounds like it is really 2 albums: One with unpolished songs with autotune and basic beats, and another of highly produced radio friendly hits with professional singers. The radio friendly songs are Rather Be, Extraordinary, Up Again and Heart on Fire. The less than "Extraordinary" songs are everything else. 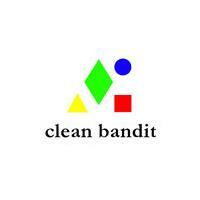 I suggest downloading those 4 tunes and wait for the next album.Clean Bandit is following the trend of a production band that uses guest vocal..